Ahead of the 2019 general elections, Nigerians, particularly, Christians, have been called upon not to cease from praying for the nation for a peaceful polls. 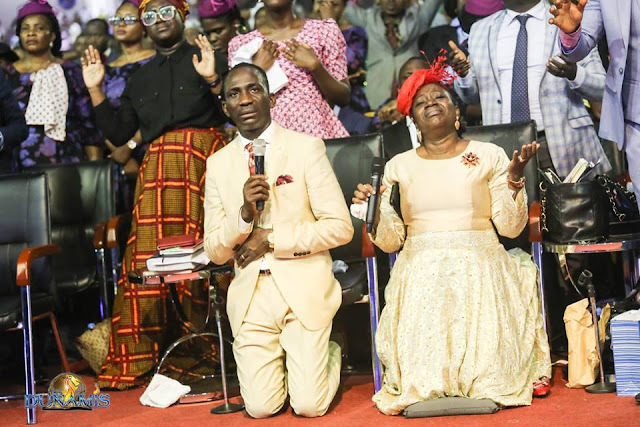 The senior pastor of the Dunamis International Gospel Centre, Dr. Paul Enenche, made this call on Friday at this year’s edition of the Nations Worship in His Presence concert, at the Glory Dome, Abuja. The fiery preacher, who is passionate about the peace of the country, while speaking on the top, “The Battle is the Lord’s” said Christians need to wake up and intercede on behalf of the nation. He led thousands of participants to pray for the nation, especially now that the elections draw nearer. Dr. Enenche prophesied that every dark “cloud hanging” over the forthcoming elections, from the presidential to the gubernatorial polls is canceled. Speaking earlier, the guest speaker, Paul Sylvester Morton, Senior Pastor of Changing a Generation Full Gospel Baptist Church, lauded Dr. Paul and his wife, Dr. Mrs. Becky, for the tireless works they have been doing in God’s vineyard. Dr. Morton specifically congratulated the Enenches and the Dunamis family for erecting the largest church auditorium in the world christened The Glory Dome.